White Post Farm has just welcomed a brand new pair of extremely cute piglets into the world. 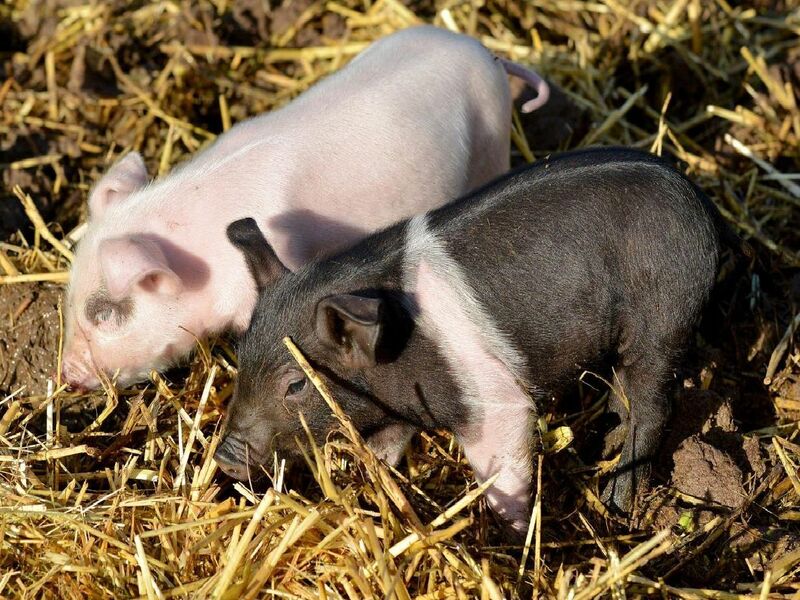 The hardy little duo are just days old but already frolicking in the mud at the Farnsfield visitor attraction. Marketing assistant Cathy Mallett said: “The piglets are super cute and were born about a week ago. Visitors can see them during opening hours but Cathy says their mum is very protective at the moment. The tiny Saddleback cros- breeds haven’t been named yet, Cathy says there may be a competition in the offing. Also among the new arrivals competing for star attractions are two three month old Valaif lambs. “They are gorgeous,” said Cathy; “Three boys - they are three months old and they look like Teddy Bears." The farm is launching a recruitment drive with positions available for seasonal guides, caterers, yard staff and a permanent maintenance/caretaker role. The annual recruitment morning will be held on Saturday January 26 . Applicants should arrive at the farm from 8am until 10am to meet the team and fill out an application form. Cathy added: “Our recruitment mornings are always fun - a great chance for you to chat with us, ask questions, find out more about the work we have available and apply if you think you would be a good fit. Visit the White Post Farm Facebook page for more details. New piglets at White Post Farm.